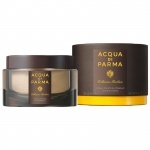 Acqua Di Parma Shaving Razor and Stand is an object of desire. Acqua Di Parma Shaving Razor and Stand is a piece of bathroom elegance, a timepiece that will last as long as you wish and remain as fresh and as elegant as the first day that you purchased it. 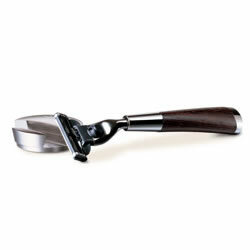 Acqua Di Parma Shaving Razor and Stand is also a functional object. It takes Gillette Mach 3 Razor blades for maximum ease but transforms the performance of these blades with its unique balanced design and ergonomic weighted feel. 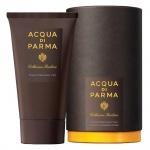 Acqua Di Parma Shaving Razor and Stand has a gorgeously soft and pliable wenge wood handle that is warm to the touch and easy to hold, allowing you to have maximum control. From start to finish shaving is an elegant pleasure, simply an experience and design that is perfectly elegant and exceptional in quality.